As Customer Service Representatives at Newton County Water and Sewerage Authority, it is our goal to provide excellent customer service and to meet the needs of our customers. As a utility provider we strive to serve the public and community in a professional and courteous manor. 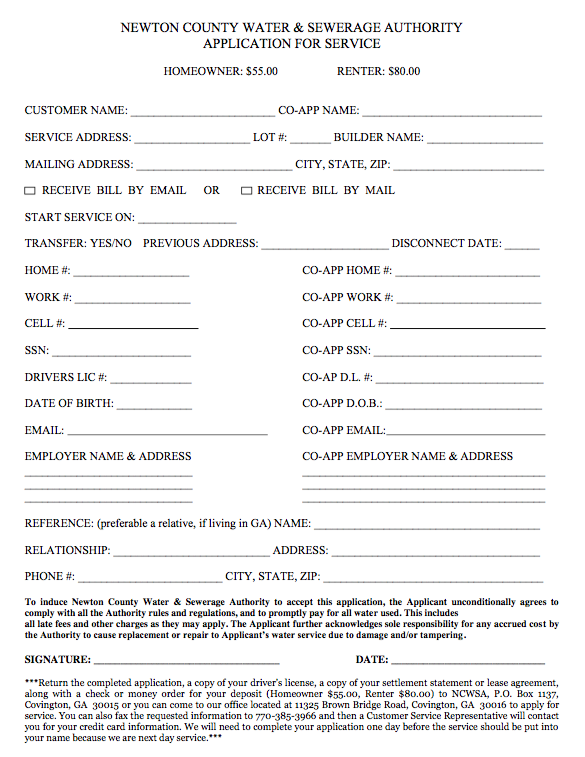 Download, print, fill out the Application for Service (PDF) below. You can mail or bring by our Main Office at: 11325 Brown Bridge Road, Covington, GA 30016 – email to info@ncwsa.us or Fax it to us. 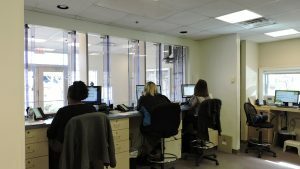 The fax number for Customer Service and Billing is 770-385-3966.